If you thought promise rings and pre-engagement tokens were a new fad for Millennials unwilling to commit, think again. 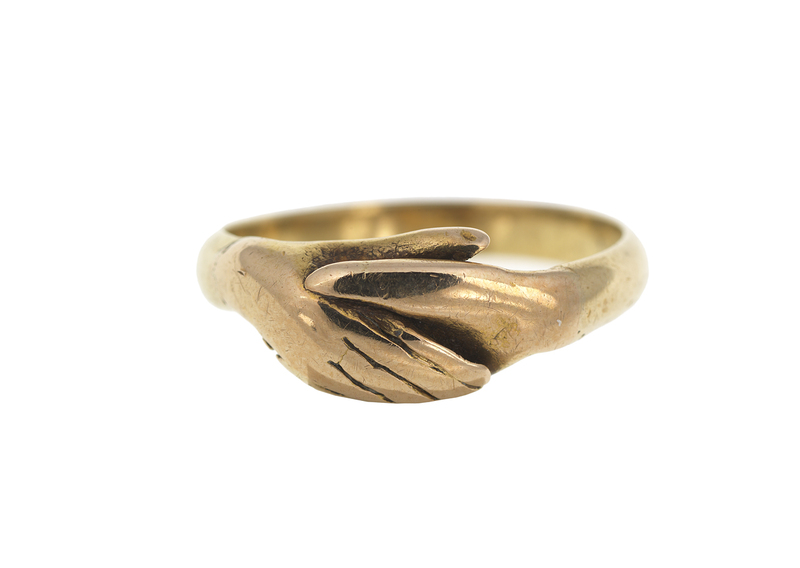 Shortly before Horatio Nelson embarked on his final and fatal campaign he had an informal wedding ceremony with his mistress Emma Hamilton in which they exchanged this fede ring that seems uncannily modern. The gold band features two linked hands in a sign of devotion that Nelson would take to his death at the Battle of Trafalgar on October 21, 1805. The ring is now on display at the National Maritime Museum in Greenwich, London, that says Nelson and Emma took communion together before his departure and probably exchanged rings at this time. They were enacting the more informal kind of betrothal that preceded the ‘Act for the Better Preventing of Clandestine Marriages’ of 1753. These unofficial ceremonies might include the exchange of vows between friends. Have a look at these beautiful replicas of Georgian fede rings. The couple were at the very forefront of a controversy resembling a modern celebrity scandal. 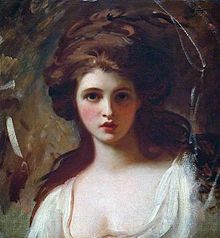 They first met September 12, 1793, when he was a 35-year-old captain and she was the 28-year-old wife of Sir William Hamilton, the British Envoy to Naples. She was famous as an artists’ model and toured across Europe performing ‘attitude’ poses derived from Classical art, something that no doubt matched her with the antiquarian collector William who had brought the vases to England that inspired Josiah Wedgewood’s ceramics. Nelson wrote to his wife Fanny that Emma was a “young woman of amiable manners who does honour to the station to which she is raised.” In 1797 Naples was under the threat of attack from Napoleon’s fleet but Nelson’s intervention at the Battle of the Nile turned him into a hero, to whom Emma wrote passionately. Nelson and the two Hamiltons became great friends and shared a house together in Palermo with a number of friends and relatives. While Emma and Horatio had been faithful to their partners they felt evermore distant from them and fell in love. By the Spring of 1800 Emma was pregnant while the admiralty recalled Nelson to Britain. He brought Emma home and fell out with Fanny who had only seen him for seven months of the last seven years and they separated. Fearing outcry in the press Nelson tried to keep the relationship secret with him returning to sea and Emma staying in London with her husband. Emma gave birth to Nelson’s daughter Horatia a month later. When Nelson died at Trafalgar in 1805, despite altering his will to provide for Emma and Horatia and begging officials as he died to fulfil this, his estate passed to Fanny and Emma was left an outcast. She died steeped in debt just before she reached the age of 50. Horatia lived a long and quiet life as the wife of a clergyman up until her death in 1881. Want to accurately dress like Nelson or another try a broader Regency costume? Have a look at clothes, sewing patterns, fabrics and more in our Nelson lookbook! Header image: National Maritime Museum, London.